With so many choice of how to create the "perfect" evening for your guests at your next event, it's no wonder why so many people and companies turn to Eric Jones for their choice in entertainment. That's because Eric makes everything so simple, from beginning to end. From the initial contact to leaving the gig, Eric's professionalism and easy going style will take loads of pressure off your back so you can focus on what you are working on and he can do what he does best....creating an unforgettable evening for your event. 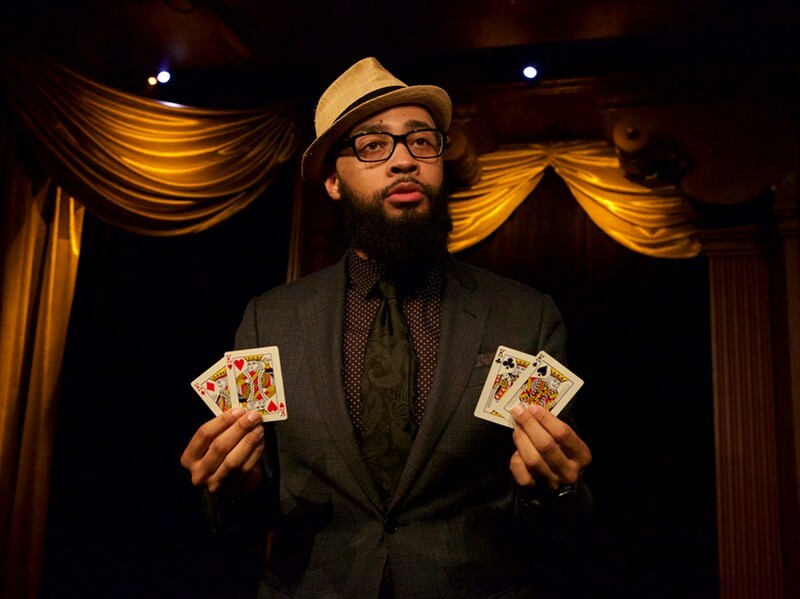 Whether it's a wedding reception, a private celebration, a trade show,or hospitality suite, You can't go wrong with Eric Jones Magic. Eric's charm and eye popping magical entertainment will create special, intimate moments for both you and your guests you will cherish for a lifetime. Watch as he seamlessly weaves his way throughout the event and mingles with your guests, performing miracles that take place in YOUR HANDS!!!! 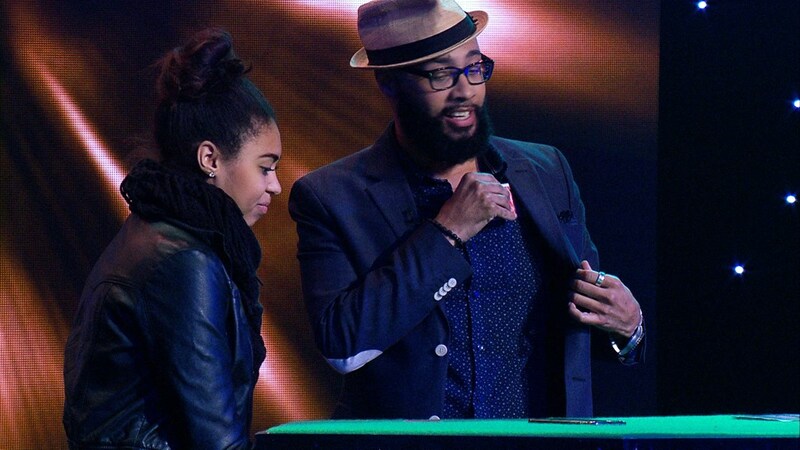 Eric's award winning magic has been featured on Syfy's Wizard Wars, Comedy Centrals The Nightly Show with Larry Wilmore, The CW's Penn and Teller: Fool Us ( where he successfully fooled the duo) and was a Semi-Finalist in season 12 of NBC's Americas's Got Talent. 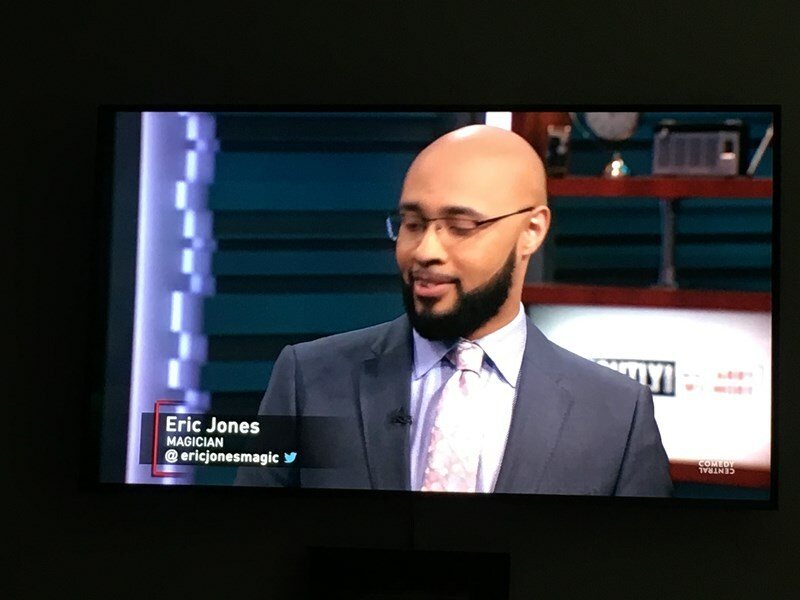 Please note Eric Jones Magic will also travel to Perryman, Belcamp, Aberdeen Proving Ground, Bel Air, Churchville, Havre de Grace, Abingdon, Perry Point, Edgewood, Perryville, Darlington, Gunpowder, Benson, Joppa, Port Deposit, Betterton, Charlestown, Colora, Conowingo, Forest Hill, Upper Falls, Earleville, Fallston, Kingsville, North East, Chase, Fork, Rising Sun, Still Pond, Street.